Outside of Texas, every time I mention the word "kolache", no one knows what I'm talking about. They act as if I've just sprouted two extra heads..."kowh-lahch-ee? ", they ask. This must change! let's make kolaches a nationwide phenomenon, yes? There's a town between Dallas and Austin called West, Texas. Those of you outside of Texas probably know it best from the fertilizer plant explosion last year, though I doubt the residents of West are very keen on having their claim to fame be a tragic accident. I know them best as the home of Czech Stop, the place from which I get a dozen kolaches when passing through on I-35. Their kolaches are so deliciously tender and yeasty. The best. They also hold Westfest every year which is a Czech polka festival that I had the pleasure of attending my junior year of college when me and a few friends drove in from Austin for a day of merriment, polka, and Elvis impersonations. Anywhoo, the point is that West (besides being an awesome town), has a huge Czech population, and they are the ones who brought kolaches from across the Atlantic. 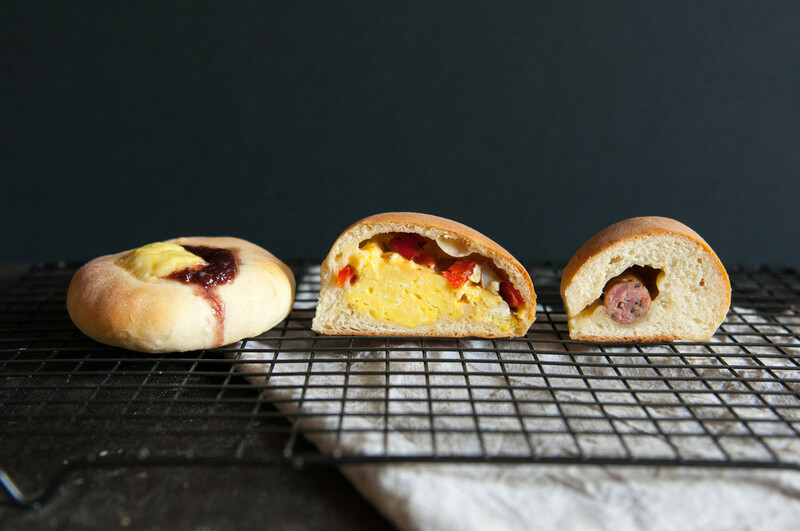 Kolaches come in two main forms, sweet and savory. The savory kind is technically called klobasniky, but who has time for technicalities these days? I just call them sweet or not-sweet. The sweet version is comprised of a dollop of jam or other sweet filling, sometimes in conjunction with cream cheese, pressed into the top of a sweet yeasted dough. The savory kind is comprised of some type of filling, usually sausage, with sweet yeasted dough wrapped around it so that it looks like a normal dinner roll until you bite into it and discover its glory. Once you've made the dough, you can pretty much put anything you like on or in it. I have three options listed below, but the combinations are really endless. The filling quantities I have listed below make 6 each of the three types of kolaches. If you would like to do all one type or half and half, adjust the quantities as necessary. In the bowl of a stand mixer, sprinkle yeast over warmed water mixed with 1/4 tsp sugar. Let sit for 5 minutes until foamy, indicating the yeast has activated. Add the rest of the sugar, salt, milk, butter, and eggs. Whisk by hand for a minute until all the ingredients are combined. Place the bowl in your stand mixer, with the dough hook on low speed, add flour one cup at a time. Once you have added 4 & 1/2 cups of flour, scrape down the bowl and continue mixing on low. If the dough is not clearing the sides of the bowl, add more flour a tablespoon or two at a time, scraping down the bowl after each addition. Once the dough starts clearing the sides (it's okay if it's still sticking to the bottom), transfer it to a well floured counter and knead by hand for a few seconds. Transfer dough to a large, lightly oiled bowl, cover and let rise for 1 hour until doubled in size. Punch down any excess air bubbles, cover again and refrigerate overnight. 1. In a medium, stainless steel pan over medium high heat, cook sausage links all the way through. Transfer to a clean plate. Have grated cheese ready on another clean plate. 2. In the same pan, heat olive oil on medium high and cook potatoes for 5 to 6 minutes. Add 1/4 tsp salt and paprika, toss to combine. Add red bell pepper and jalapeño, and cook for an additional 2 to 3 minutes. Transfer to a clean bowl and let cool. In clean non-stick pan, melt butter over medium heat. Add beaten eggs and scramble until barely cooked through, add remaining 1/4 tsp salt and stir to combine. Transfer to another bowl and let cool. 3. In a small bowl, whisk cream cheese, sugar, and egg yolk together. Get your jam ready. To assemble, divide dough into 18 equal pieces between 2.2 and 2.3 ounces each. 1. For the sausage kolaches, roll the dough out into an oval. Place 2-ish tablespoons of cheese in the middle (if using). Place a piece of sausage on top and fold two sides of the dough over the sausage. Then, fold the other two sides over and pinch to seal. 2. 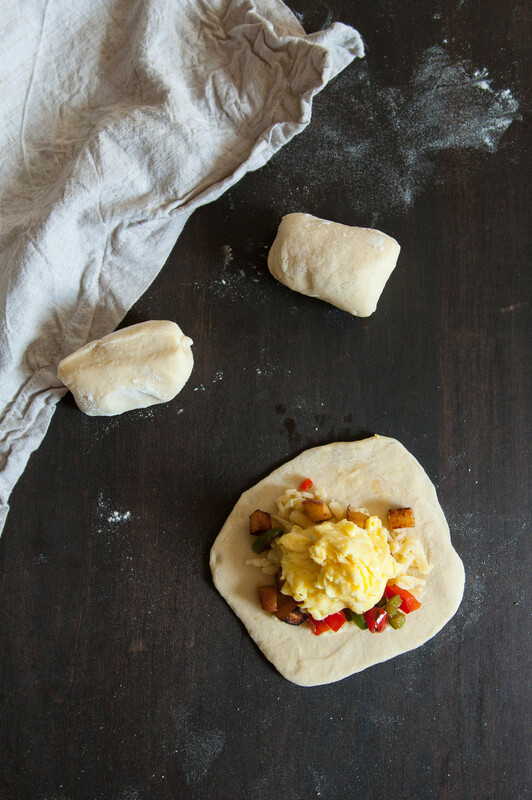 For the egg and pepper kolaches, roll the dough out into circles, place cheese, potato & peppers, and egg in the middle, fold sides over and pinch to seal in the same fashion as the sausage ones. 3. 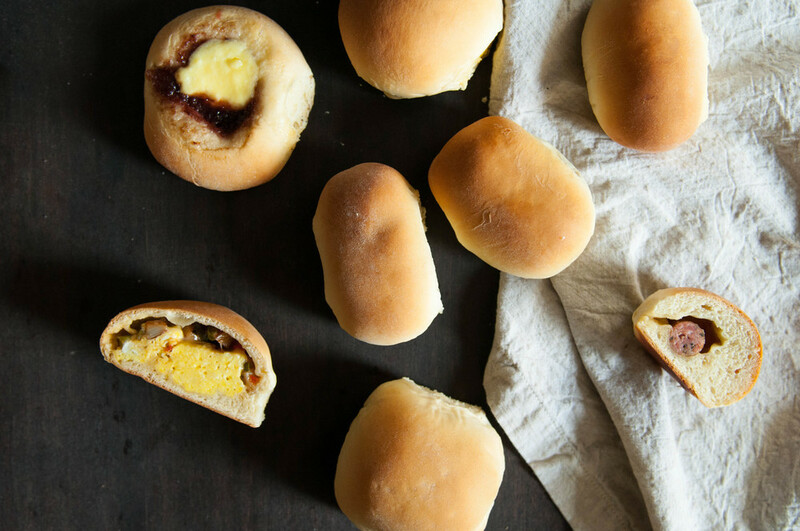 For the sweet kolaches, roll dough into balls and press down to flatten slightly. Don't fill them just yet as they have to rise first. Place assembled kolaches on a parchment paper lined baking sheet. Preheat oven to 375 degrees F. Let kolaches rise for 15 to 20 minutes while oven is heating. Right before going into the oven. 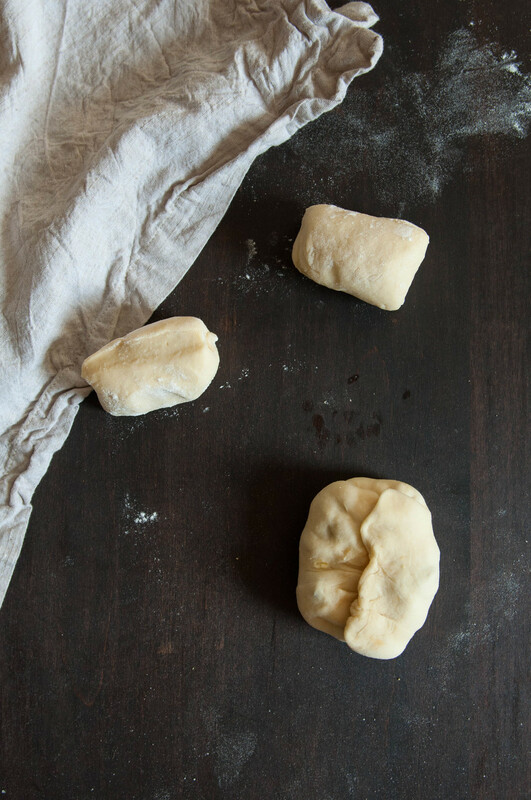 Make deep indentations in the dough reserved for sweet kolaches (as deep as you can since it'll puff up while baking and you don't want the jam to slide right off!). Place a heaping tablespoonful each of jam and cream cheese in the indentations. Bake for 25 to 30 minutes until golden brown. Feel free to eat immediately, but I think they actually taste better reheated. Now you have breakfast for the rest of the week!